Acquired by the father of the present owner in the 1940s, and thence by descent. La Suisse, 3 July 1958 (illustrated). 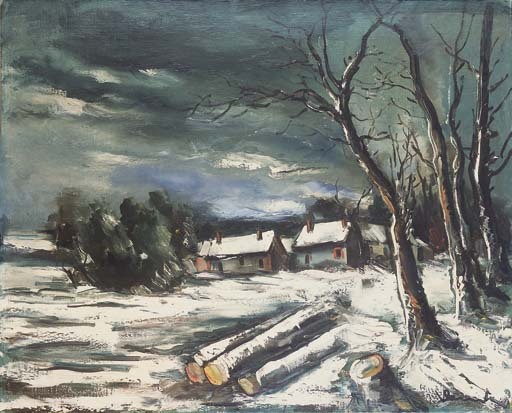 Geneva, Musée de l'Athénée, Vlaminck du fauvisme à nos jours, July - September 1958, no. 42. Maïthe Vallès-Bled and Godelieve de Vlaminck will include this painting in their forthcoming Vlaminck catalogue raisonné being prepared under the sponsorship of the Wildenstein Institute.